Special Kitty cat food is made and manufactured by Wal-Mart Stores Inc. Special Kitty Cat food is only currently sold at walmart. Specialy Kitty cat food only comes in 7lb bags. We are going to take a look at the first five ingredients of . The first five ingredients are a good indication of the quality of cat food. The ingredients before the first fat source usually make up the vast majority of the cat food. Ground Yellow Corn, Corn Gluten Meal, Chicken By-Product Meal, Ground Wheat, Animal Digest, Animal Fat (Preserved W/Bha), Meat and Bone Meal, Phosphoric Acid, Calcium Carbonate, Salt, Potassium Chloride, Yeast Culture, Choline Chloride, Turkey By-Product Meal, Taurine, Minerals (Zinc Oxide, Ferrous Sulfate, Manganous Oxide, Copper Sulfate, Calcium Iodate, Sodium Selenite), Lysine, Vitamins (Vitamin E Supplement, Niacin Supplement, D-Calcium Pantothenate, Thiamine Mononitrate, Riboflavin Supplement, Vitamin A Supplement, Pyridoxine Hydrochloride, Menadione Sodium Bisulfite Complex, Folic Acid, Biotin, Vitamin B12 Supplement, Vitamin D3 Supplement), Di-Methionine, Natural and Artificial Chicken and Turkey Flavors, Bha (Used As A Preservative). Ground Yellow Corn:same as ground corn, except that the corn used is yellow in color. Corn Gluten Meal:the dried residue from corn after the removal of the larger part of the starch and germ, and the separation of the bran by the process employed in the wet milling manufacture of corn starch or syrup, or by enzymatic treatment of the endosperm. Chicken By-Products:consists of the ground, rendered, clean parts of the carcass of slaughtered chicken, such as necks, feet, undeveloped eggs and intestines, exclusive of feathers, except in such amounts as might occur unavoidable in good processing practice. Ground Wheat:presumably a coarser grind of wheat flour. Not an AAFCO definition. Animal Digest:material which results from chemical and/or enzymatic hydrolysis of clean and un-decomposed animal tissue. The animal tissues used shall be exclusive of hair, horns, teeth, hooves and feathers, except in such trace amounts as might occur unavoidably in good factory practice and shall be suitable for animal feed. Nutrition Facts are not available for this item. Are you a consumer of ? If so please take the time to rate . This will make it easier for people who are looking to purchase . This food was involved in pet food poisonings via Menu Foods. Animals literally died from kidney failure because this food was tainted with a rodenticide also used as a chemotherapeutic. 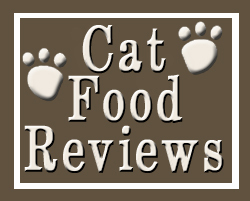 Absolute thumbs down on this or any supermarket brand pet food as they use cheap outsources from China which are poor quality foods and potentially lethal when tainted. Spend the extra dollar and at least by Purina (never imlicated in the poisonings). If u call the number on the bag, u will find that the product is made by the same company that makes another brand of cat food. They will offer u a coupon to try that product. By the way, my cats have been on this food for approximately 10 years and are happy and healthy and have never had urinary problems. Took 3 cats to the vet today. 1 has a serious digestive problem & all 3 have poor coat quality. The vet said all of the health issues were probably related to their Special Kitty diet & to immediately take them off of it & feed them just about anything else! I LOVE my cats & was appalled to learn that I was feeding them such a bad food. I thought the cheaper food would be okay since they also eat the outside critters & house food. The vet said the outside critters was the best nutrition they were getting. NO MORE Special Kitty! Now I’ve got more research to do into alternatives for my babies! Well I have previously only owned one cat in my life, Missy, who was only an indoor cat I only bought happy cat for her and she lived till she was 16 years old she ended up with cancer. After living without a cat for 10 years I decided to get an other kitten, Wiskey, who is now a 1 year old nurtered male. I have only fed him Special Kitty and had a very bad urinary infection and the vet instructed me to take him off this food right away. I thank God that I gave him lots of water and took him in right away. I had to pay $200.00 for the visit but if I had waited he would have needed an operation due to not being able to go pee. One sign this type of problem is blood in the cat’s urine. I hope this will help other people. Has anyone else had this happen? After talking to someone in the government they told me they might be checking this food again. She said it sounds like it still has melamine in it. I’ve had three cats develop cancer and only one is still alive. The rest all started getting urinary problems and losing tons of weight. I switched brands and all the cats have regained weight and are looking healthy.